Home / Self improvement / Is red wine good for you? Moderate consumption of red wine is good for the heart. Wine is considered as one of the healthiest alcoholic drinks and it is an essential component of the all famous Mediterranean diet. Why should you choose red wine? Choose red wine due to the much higher content of antioxidants and in particular in phenolic compounds. It has been proven scientifically that these components play an important role in heart health and facilitate the good condition of blood vessels. 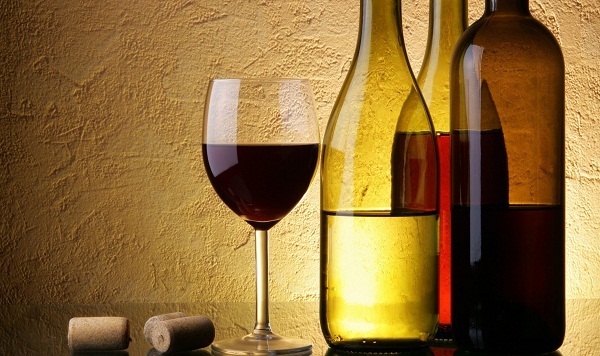 What are the benefits of red wine for the heart? Moderate consumption of red wine has beneficial effects, reducing the risk of coronary heart disease. This is due to 2 main components, namely alcohol and its various antioxidant substances such as tyrosol, resveratrol and other phenolic compounds. Their protective action is performed by various mechanisms, such as the increase of good cholesterol (HDL), the restriction of blood clots and the reduction of blood clotting. At the same time it improves the functionality of the vessels and protects the cells from the damage caused by oxidative stress. Antioxidant substances are found in higher concentrations in red wines that were fermented in oak barrels, and these are increased as the wine gets older. What are the main nutritional components of red wine? Can I accompany my meals with red wine? The white wine matches better with eggs, fish and white meats and red wine is more suitable with red meats. The sweet wines are usually served with desserts. How many glasses of red wine should I drink per day? All the beneficial effects of red wine are true if you consume red wine on a daily basis rather than occasional consumption. It has been found that someone who consumes 2 glasses of wine each day can benefit from all the above actions. If on the other hand someone does not drink wine all week and consumes all the quantity during the weekend will not take advantage of any of the above benefits. Finally, apart from the daily consumption should be clearly understood that red wine is beneficial only in small amounts (no more than 2 glasses for men and one for women per day). Instead, regular consumption of high amounts of wine can increase blood pressure and triglycerides, thus increasing cardiovascular risk. IMPORTANT: The above recommendations differ when there is a health problem. People with health problems should consult their doctor. What are the secrets of proper serving? Wine is served in special glasses (wider at the top) so as to keep the perfumes. Do not overflow a glass of wine. Fill a little above the middle of the glass (covering the 3/4 ). Keep a glass of wine from the “foot” so that you enjoy its aroma better, but also not to transmit the temperature of your hand, warming it. How many calories are in a glass of red wine? The calories contained in a glass of wine always depend on the grades of alcohol and sweetness (ie, the time of ripening). On average, a tall glass of wine contains from 100 to 120 calories. The color does not affect the calorie content, while the slightly sweeter wines can have 10-20 calories more. Should I use wine in cooking? In cooking it is better to use the same wine you are about to serve at the table. However, if you want to keep the food colour intact (for example when cooking mushrooms), use white wine. For sauces prefer red wine.